Below you fill find all funeral homes and cemeteries in or near Odessa. Odessa is also known as: Midland County / Odessa city. Their current mayor is Mayor Richard Morton. Zip codes in the city: 79760, 79761, 79762, 79763, 79764, 79765, 79766, 79768, 79769. Ector County funeral flowers can be purchased from one of the local funeral shops we partner with. Some of the notable people born here have been: Stoney Case (american football player), Stephnie Weir (comedian and actor), Derrick Shepard (american football player), Britt Hager (american football player), Brandon Harper (baseball player), Trey Lunsford (baseball player), and Daniel Herrera (baseball player). Odessa /ˌoʊˈdɛsə/ is a city in and the county seat of Ector County, Texas, United States. It is located primarily in Ector County, although a small portion of the city extends into Midland County. Odessa's population was 99,940 at the 2010 census making it the 29th-most populous city in Texas. It is the principal city of the Odessa Metropolitan Statistical Area, which includes all of Ector County. The metropolitan area is also a component of the larger Midland–Odessa combined statistical area, which had a 2010 census population of 278,801.In 2014, Forbes magazine ranked Odessa as the third fastest-growing small city in the United States. It was disclosed on March 10th, 2019 that Donald E Rauert perished in Odessa, Texas. Rauert was 96 years old and was born in Grand Island, NE. Send flowers to express your sorrow and honor Donald E's life. It was disclosed on February 21st, 2019 that Robbie Bratsis passed away in Odessa, Texas. Bratsis was 51 years old and was born in Princeton, WV. Send flowers to express your sorrow and honor Robbie's life. It was disclosed on September 30th, 2018 that Tiffany Ashley Plamer passed away in Fort Smith, Arkansas. Plamer was 35 years old and was born in Odessa, TX. Send flowers to express your sympathy and honor Tiffany Ashley's life. It was noted by The News Tribune on August 13th, 2018 that Barbara Denney (Martin) perished in Washington. Ms. Denney was 78 years old and was born in Odessa, TX. Send flowers to express your sympathy and honor Barbara's life. It was written on June 13th, 2018 that Dorris Kovalick (Dillon) died in Odessa, Texas. Ms. Kovalick was 93 years old and was born in Bellaire, OH. Send flowers to express your sorrow and honor Dorris's life. It was revealed by South West Times Record on May 5th, 2018 that James "Jim" Atwood passed on in Mulberry, Arkansas. Atwood was 84 years old and was born in Odessa, TX. Send flowers to express your sympathy and honor James "Jim"'s life. It was noted on March 28th, 2018 that James Allen Vandyke died in Odessa, Texas. Vandyke was 86 years old and was born in Richlands, VA. Send flowers to share your condolences and honor James Allen's life. It was disclosed on February 15th, 2018 that Lois Constance Reed (Seward) passed away in Odessa, Texas. Ms. Reed was 95 years old and was born in Peoria, IL. Send flowers to express your sympathy and honor Lois Constance's life. It was noted by San Antonio Express News on January 12th, 2018 that Thomas Joseph III "Tom" Yarbrough perished in Odessa, Texas. Yarbrough was 72 years old. Send flowers to share your condolences and honor Thomas Joseph III "Tom"'s life. It was disclosed on November 10th, 2017 that Ardell Marjorie Campbell (Wendell) died in Odessa, Texas. Ms. Campbell was 90 years old and was born in Keene, NE. Send flowers to share your condolences and honor Ardell Marjorie's life. 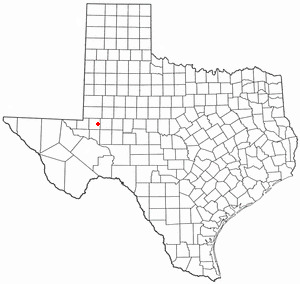 It is located primarily in Ector County, of which it is the county seat. Odessa is a city in Ector County, Texas and Midland County, Texas counties in the US state of Texas. It is the principal city of the Odessa, Texas Odessa metropolitan area Statistical Area, which includes all of Ector County. The city was named after the city of Odessa in Ukraine. Odessa's population was 90,943 at the 2000 United States Census census. 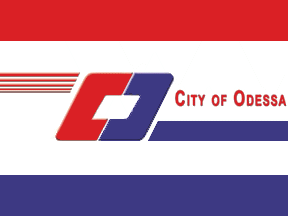 The official website for the city of Odessa is http://www.odessa-tx.gov/. ODESSA Marjorie Margie N. Hughes Gray, born in 1936, passed away on Thursday, November 4, 2010. She was born in Pampa, Texas and resided in San Angelo ... at Sunset Memorial Funeral Home Chapel with Boyd Jennings officiating. Funerals in Odessa, TX on Yahoo! Local Get Ratings & Reviews on Funerals with Photos, Maps, Driving Directions and more. Listing all funeral homes in Odessa, Texas so you can easily send flowers to any location (same day delivery) or find any funeral service. funerals in Odessa, TX 79761 on Yahoo! Local Get Ratings & Reviews on funerals with Photos, Maps, Driving Directions and more. We work with local florists and flower shops to offer same day delivery. You will find budget sympathy flowers in Odessa here. Our funeral flowers are cheap in price but not in value. Is it Okay to Take Photos at a Funeral?